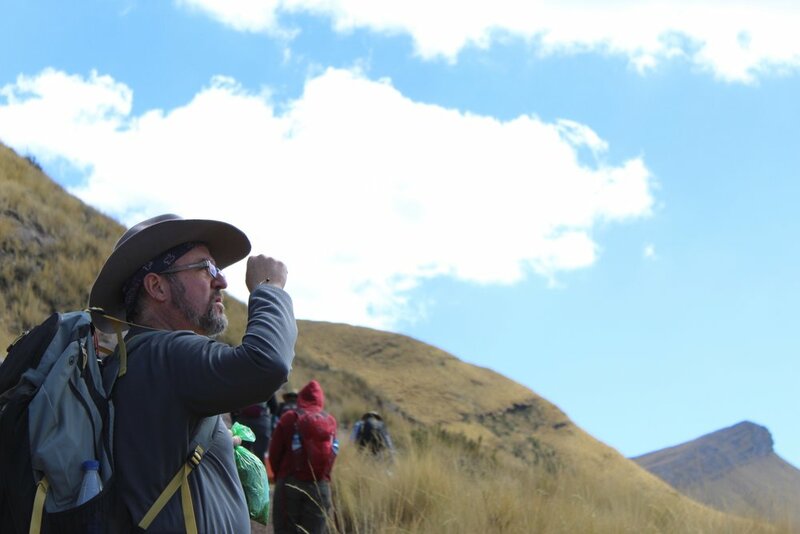 Join us for the 3rd Annual Eagle Condor Mystery School Pilgrimage to Peru. 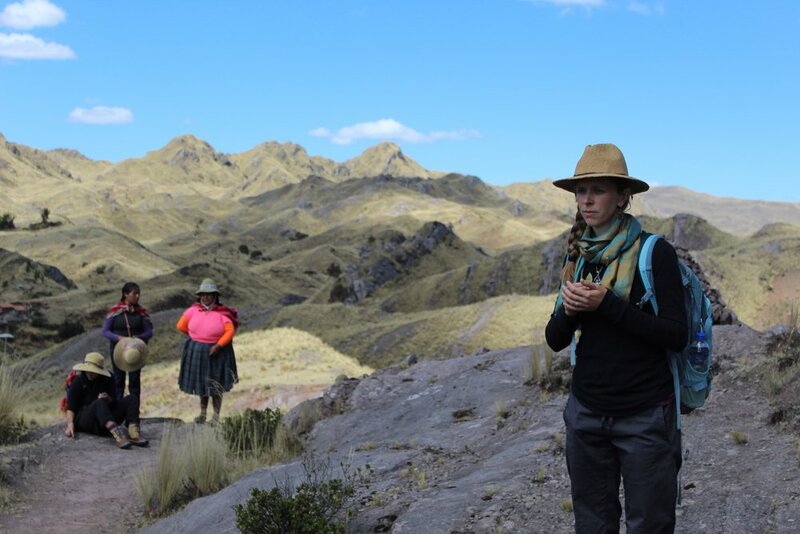 You will travel with Eagle Condor Council Founders Jeff Firewalker & Ellen Kittredge, along with four noted Andean Paqo priests, on a pilgrimage to some of Peru’s most powerful sacred sites. 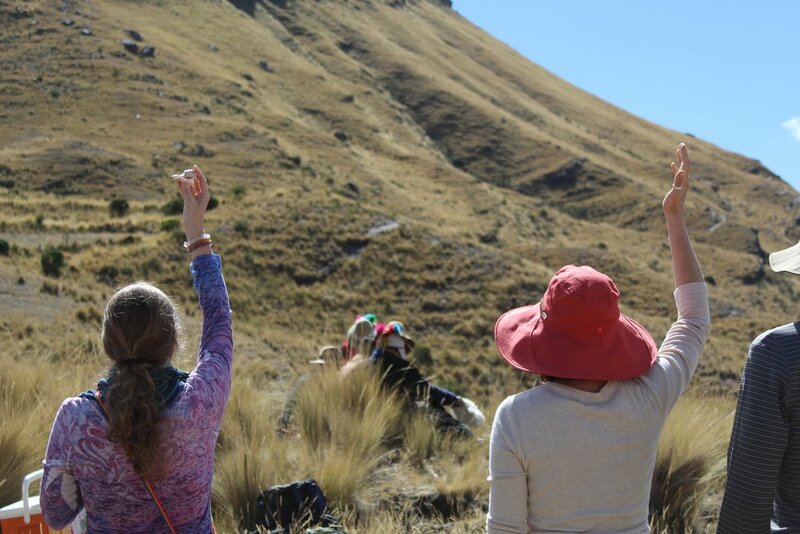 During this 12 day journey you will share in ceremony at numerous sites in the Sacred Valley, Lake Titicaca and several prominent Mountains/Apus. The focus of this trip is to assistant participants in personal healing, learning, growth and balance. In modern history there has never been a time where balance – particularly between the highest expression of feminine and masculine energies — is more needed. During this sacred, yet fun-filled journey you will be challenged and cared for in ways that will inspire a life-time of awe-filled growth! Day 1 (Sunday, August 18th) Upon your arrival the morning of the 18th in Cusco you will be picked up from the Airport and taken to the town of Pisaq in the heart of the Andes where we will settle into our hotel. After lunch and some time to rest and integrate, we will open with a fire ceremony. 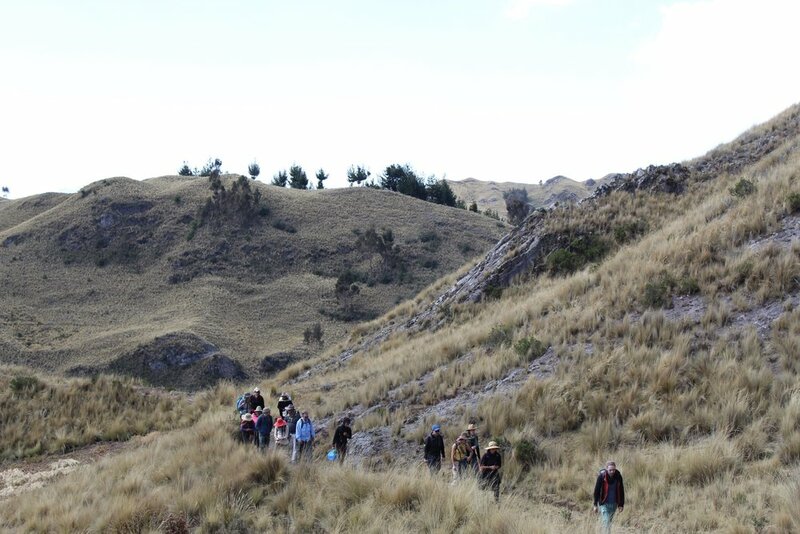 Day 2 (Monday, August 19th) After breakfast in our hotel, our private bus will take us to Mama Simona Mountain on the outskirts of Cusco, where we will have ceremony with this important Female Guardian Mountain for the city that lies at the heart of the Incan Empire. We will also engage in ceremony at a Water Nusta site at Mama Simona, asking for her support and guidance for our entire trip. Day 3 (Tuesday, August 20th) We will leave early in morning for our 8 hour trip by bus to the city of Puno, on the shores of Lake Titicaca, considered by many to be the center of the Divine Feminine on the planet right now. We will stop at the temple of Wiracocha (Raqchi), where we will do ceremony to begin the weaving of the balance between the masculine and the feminine and the sacred Yanantin. We will have a picnic lunch, and then continue all the way to the Hotel in Puno. After arriving we will settle in and have dinner in one of the fine restaurants in Puno. Day 4 (Wednesday, August 21st) After an early breakfast we will be ready for another great adventure as we journey to the Islands of Lake Titicaca. We will first travel by private boat to the floating islands of Uros, where we will get to explore these unique reed islands, and learn about and share in the life of the indigenous Aymaras. After that we will continue by private boat to Amantani Island, where we will be eating with and staying with host families on the island. They will share with us about their traditions and we will do ceremony in the afternoon into the evening on this island. Day 5 (Thursday, August 22nd) Upon waking we will be provided with a traditional breakfast from our host families, and then we will engage in more ceremony, have lunch on the island and then travel back to Puno to sleep another night there in the same Hotel. Afternoon will be free to explore Puno. Day 6 (Friday, August 23rd) After breakfast we will get back on the bus to travel back to the Sacred Valley to the ancient Inka town of Ollantaytambo. Picnic lunch along the way. In the afternoon and evening we will explore the temple ruins at Ollantaytambo. Day 7 (Saturday, August 24th): This morning we will have breakfast in our hotel, followed by a short taxi ride to one of the lesser known temple sites in the Sacred Valley, Puma Marca. Puma Marca is a hillside fortress built on a steep slope (overlooking the convergence of the Patacancha and Yuracmayo rivers) that once guarded the entrance to the fertile Sacred Valley. Here we will engage in ceremony with the Otorongo (animal guide of the middle realms) as well as commune with the feminine energies of the Nustas present in the rivers and at the temple site. After a picnic lunch we will walk back along the ancient Inka trails, taking in exquisite vistas along the way, into the town of Ollantaytambo. Afternoon free to explore markets in Ollantaytambo. Day 8 (Sunday, August 25th) After breakfast in our Hotel in Ollantaytambo we will travel to Apu Wakay Willka, the mountain of sacred tears, a sacred feminine Apu overlooking the Valley of Ollantaytambo. We will engage in ceremony on this mountain and upon our return visit the famous temple ruins at Ollantaytambo. Day 9 (Monday, August 26th) We will breakfast in Ollantaytambo and then travel by bus to Apu Salkantay and Apu Umantay, where we will set up base camp and begin to make our relations with this important Apu for the Q’ero people. We will sleep overnight on the mountain. All meals will be provided and cooked on site. Day 10 (Tuesday, August 27th) We will engage in ceremony during the day, including hiking to sacred lagoons higher up on the mountains. All meals with be cooked onsite. We will sleep overnight on the mountain. Day 11 (Wednesday, August 28th) We will pack up camp in the morning and take our bus back to Cusco, where we’ll have the rest of the day free to explore Cusco. Day 12 (Thursday, August 29th) We will finish our trip by visiting the temple sites of Saqsayuma and the Qoricancha, two very significant power spots and ceremonial sites situated in the city of Cusco. We will close with a celebratory group dinner in Cusco. Day 13 (Friday, August 30th) You will be transported back to the Cusco airport for your flight back home. $400 (+ paypal fees of $12) non-refundable deposit is required to save your spot. Second payment of $800 (+ fees) due by May 15th to qualify for Early Bird Discount. Balance of payment - bring to Peru. – Peru imposes a small international airport tax that must be paid upon departure from the country. – Fees for personal activities such as shopping, excess luggage, laundry, room service, purchase of any alcoholic beverages, tips/gratuities, personal travel insurance cost and any meals not listed as “provided” in the itinerary. – Gratuities for trekking staff and porters. My journey to the various sacred lands of the High Andes in Peru was one of the deepest blessings I have received in my life. The Paqos welcomed us as family and did not waver in that relation our entire time together. This aided our group to deeply bond and gave us a sense of innate care and support of one another during this pilgrimage. They also were impeccable in their prayer and held us in such gratitude for supporting their ceremonies. And at the end of the day, they had nothing but smiles, jokes, and the lightheartedness of a child to share with each of us. It was contagious. 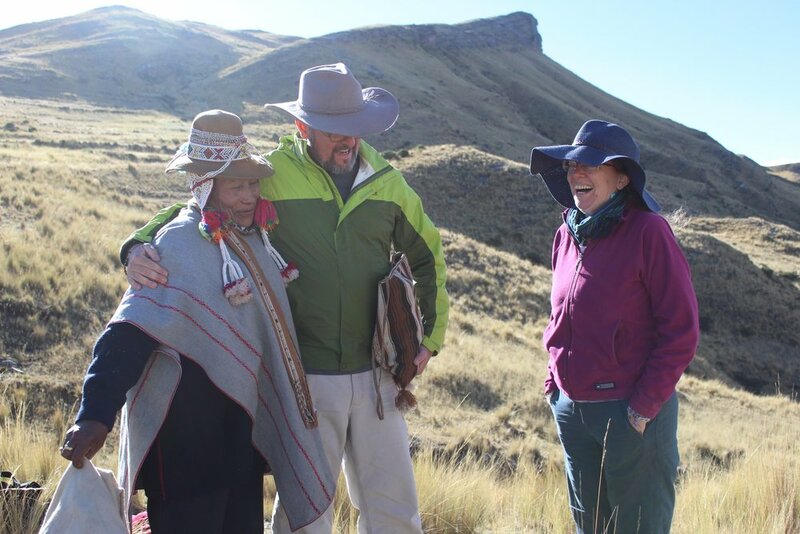 With Ellen and Jeff’s years of experience with these peoples and place, they were strongly effective intermediaries for the Paqo’s way of life, culture, and teachings, aiding the group in any gaps there may be in understanding and connectivity. My trip to Peru with Jeff and Ellen was filled with so many experiences, that it’s hard to put into words. I went on this trip not having a clue about what I was about to embark on, but also with a strong sense of urgency, feeling a need to walk these sacred lands. I am beyond grateful that I heeded the call. I came back forever changed, reborn as a truer version of myself. I learned what it really means to be connected to our beloved Mother Earth, and the elementals that comprise her. The level of prayer that I witnessed with the beautiful, big-hearted Paqos is something I had never experienced in my life. 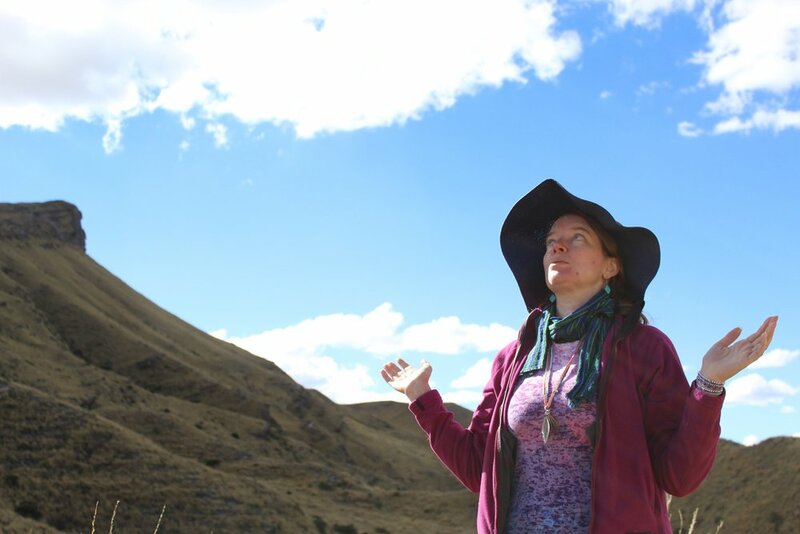 The reverence they hold for Pachamama, and their sacred mountains and nature spirits, is nothing short of holy. Their patience and willingness to teach, walk us through step by step, made this experience so beautiful. Jeff and Ellen really stepped up to the task as guides. Everything on the trip was planned with precision. I became sick on this trip and both Jeff and Ellen, as well as the Paqo’s made me feel safe and so very supported. I was able to go to a place of full surrender, something I’ve never really done in my life. This journey was not always easy, and at times downright challenging. But it seemed to give me exactly what I needed to bring up the things in my life that really needed to be healed, and the gifts from this trip continue to unfold six months later. Of course, we certainly did have a lot of fun as well, and I would do it again in a heartbeat!